Two years ago, Fujifilm announced its most popular X-Series camera to date, the X-T2. It was one of many “second generation” mirrorless cameras to hit the market that year and included characteristics one would expect from a high-end product such as a more robust housing, an improved autofocus system and 4K video. The recently announced Fujifilm X-H1 is built upon the strengths of the X-T2, making it the most powerful X-Series camera in the range. 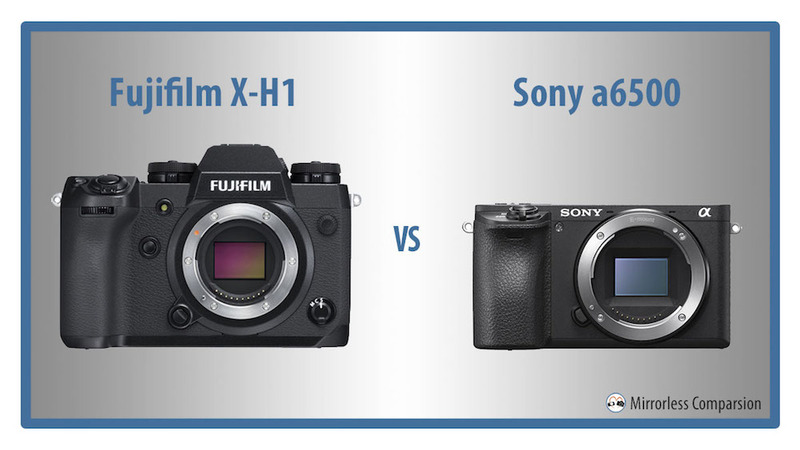 In this comparison preview, we’re going to take a look at how the new X-H1 compares to one of its main rivals on the mirrorless market, the Sony a6500. 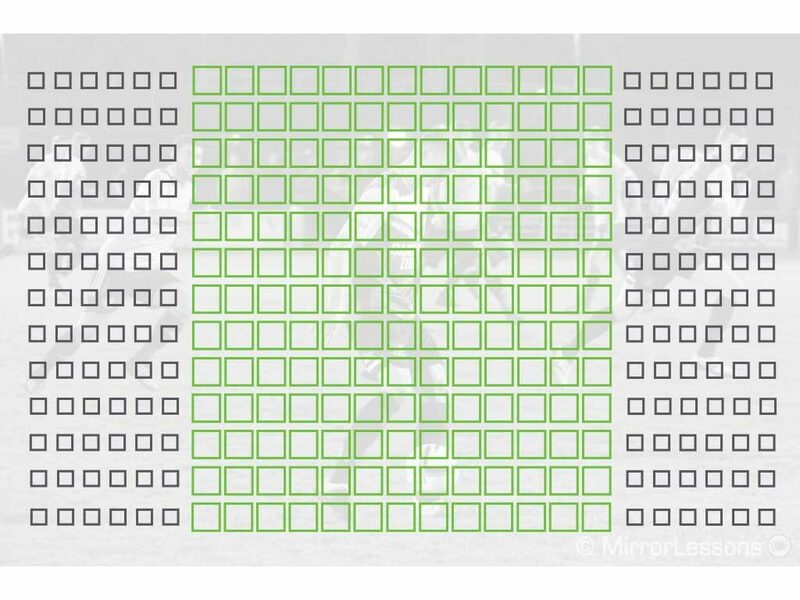 Despite sharing similar characteristics, including a 24MP APS-C sensor, advanced hybrid autofocus system, 5-axis sensor stabilisation and advanced video capabilities, there are quite a few ways in which they differ as we’ll discover below. Perhaps the most obvious difference is the physical appearance of the two cameras. The X-H1 resembles a typical SLR due to its centrally-placed electronic viewfinder (EVF). It is both larger and heavier than the a6500 with measurements of 139.8 x 97.3 x 85.5mm and a weight of 673g with the battery and memory card. The a6500 weighs approximately 453g (with the battery and SD card) and measures 120.0mm x 66.9mm x 53.3mm. It has a flat-topped rangefinder-type body with the electronic viewfinder located on the left side of the body. While the X-H1 features a thick, scratch-proof chassis that is completely weather-sealed against dust, moisture and cold temperatures down to -10°C, the a6500 only offers dust and moisture resistance. Both bodies feature a prominent grip but the X-H1, being taller, should prove more comfortable to hold. One difference that will interest professionals is that the X-H1 has a dual SD card slot with UHS-II compatibility, whereas the a6500 only has one (UHS-I). Dual SD card slots are useful, not only because you can record more images but also because a) you can make back-ups while shooting and b) have the camera record different file types (e.g. JPG, RAW, MP4) to separate cards. The X-H1 comes with a full sized USB 3.0 port whereas the a6500 comes with a Micro USB 2 port. A hot shoe is present on both bodies but only the a6500 has a built-in pop-up flash. 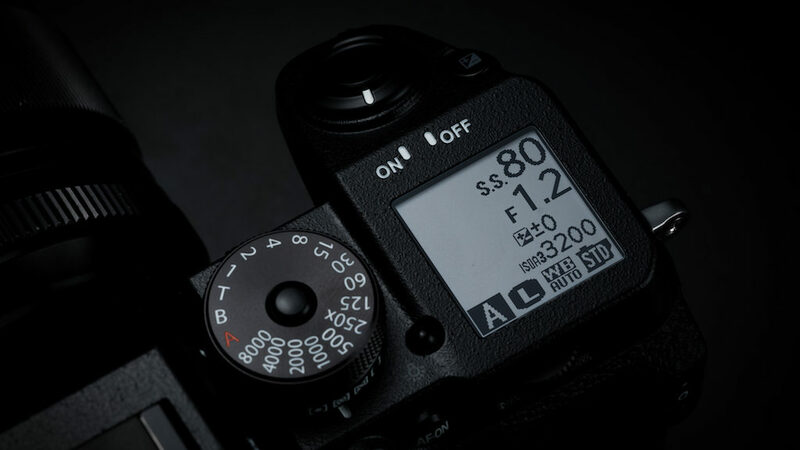 A characteristic common to all Fujifilm X-Series cameras is the presence of many physical controls around the body. 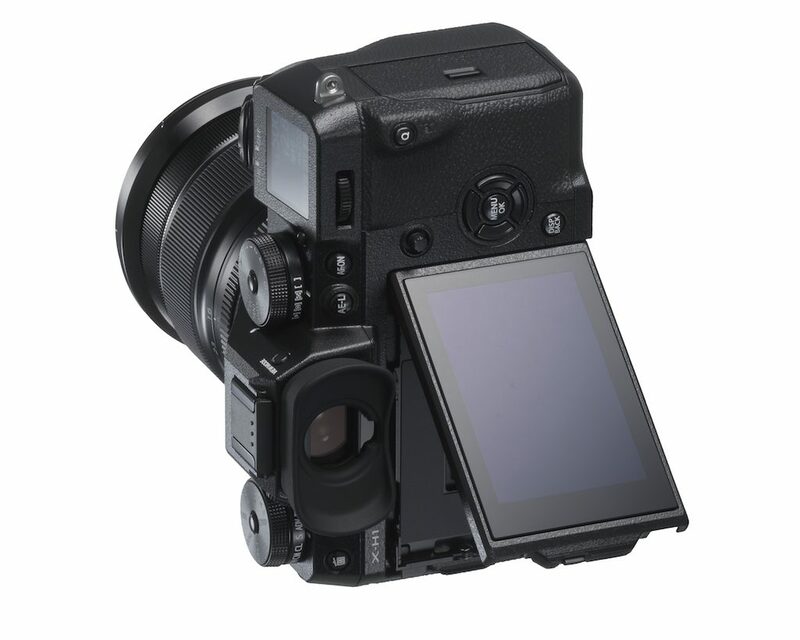 In the case of the X-H1, you will find the following: a stacked ISO/Drive dial, stacked Shutter Speed/Metering dial, front and rear control dials, AF joystick, focus selector on the front and various function buttons around the body. Add to this the small LCD screen on top that displays your settings, remaining battery life and other useful information, and it becomes easy to understand why the Fujifilm camera should give you a more immersive user experience. The a6500 has fewer external controls which include the standard PSAM dial, one exposure dial on top and a rear control wheel. There is a good number of function buttons and a customisable Fn menu but it still isn’t as user-friendly as we would like it to be. The menu system on the X-H1 is the same found on the X-T2, which is another advantage: it is more straightforward to navigate and learn than the one on the a6500. Both cameras come with a Q Menu / Fn menu that can be customised. Also worth mentioning is that most Fujinon lenses have a physical aperture dial while many Sony lenses don’t. We already touched upon the location of the X-H1 and a6500’s respective viewfinders but there are also a few other differences worth mentioning. First the X-H1’s is larger (0.5 vs 0.39 inches), has a higher resolution (3.69m vs. 2.36m dots) and a higher magnification (0.75x vs 0.7x.). Second, they offer slightly different refresh rates: 50fps and 100fps (PAL) or 60fps and 120fps (NTSC) for the Sony, or 60fps / 100fps in Boost mode for the X-H1. Both cameras have a 3-inch LCD screen but they work differently. While the X-H1 has a three-way tilting monitor that rotates up, down and to one side in order to facilitate both landscape and portrait shooting, the a6500’s screen only tilts up and down. The resolution of the a6500’s screen is also slightly lower at approximately 921k dots versus 1.04m dots on the X-H1. They do share one important feature however and that is touch sensitivity. On the X-H1 you can change the AF point, focus, take a shot, swipe through your images and pinch to zoom. The touch screen can also be used as an AF Pad when composing with the EVF. On the a6500, the touch screen can only be used to move the focus point (which also works when using the viewfinder). 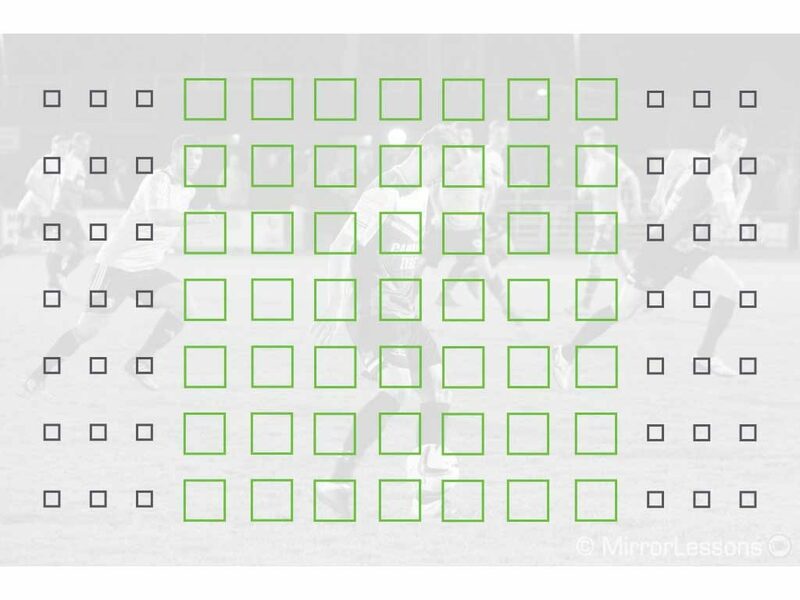 Although the performance is very similar, there are a few things worth highlighting if you are picky about image quality. The following is based on our X-T2 vs a6500 full comparison, which can give you a good preview of how the two sensors perform since the X-H1 uses the same sensor as the X-T2. 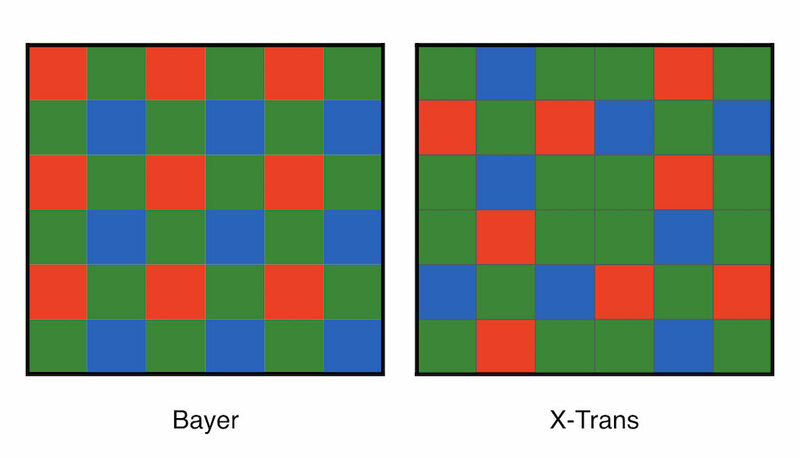 First, the X-H1 uses an X-Trans array rather than the traditional bayer array, which includes at least one red, green and blue pixel on every horizontal and vertical line of the sensor. The debate as to whether this technology is an advantage is on-going at the time of writing. In our opinion, the differences aren’t huge but it is true that the Fuji RAW files can perform differently depending on the post production software if you want to maximise sharpness and fine details. The a6500 RAW files by comparison deliver good results with most software programs. The Sony has a normal range of ISO 100-25600 and an extended value of 51200. The X-H1 has a native 200-12800 range, pull value down to 100 and push levels up to 51200. The difference in performance between the two sensors is very small, and we’ve found that the Fuji RAW files require less noise reduction to get rid of colour noise. Brightness when shooting at the same ISO value is not exactly the same however (the Fuji files are often underexposed by half a stop) as both brands use a different ISO standard. Dynamic range also comes close, although the X-H1, just like its sibling, should have a few advantages thanks the ISO-less technology of the sensor and the DR settings that preserve highlights better. The X-H1 can record 14-bit RAW in lossless compressed or uncompressed, whereas the a6500 records 14-bit compressed files. Another difference concerns the picture profiles and colour rendering. Fujifilm has a more subtle yet distinctive colour signature thanks to its film simulation modes. Although we already mentioned this in the introduction, we wanted to highlight a few differences since this technology is a first for Fujifilm. Both cameras can use 5 axes with non-stabilised lenses but the performance can vary with the X-H1 depending on the lens used. While Sony guarantees up to 5 stops of compensation with all native lenses, the X-H1 offers slightly more (5.5Ev) with a few prime lenses such as the XF 35mm f/1.4. With OIS lenses, the a6500 uses 3 axes on the sensor and two Yaw / Pitch axes on the lens. The X-H1 has a similar behaviour although the number of axes used on the sensor may vary depending on the focal length. The performance can decrease to 4.5, 3.5 or even 2.5Ev with select OIS lenses like the XF 10-24mm. Both cameras feature a hybrid autofocus systems consisting of a mix of contrast and phase detection points. 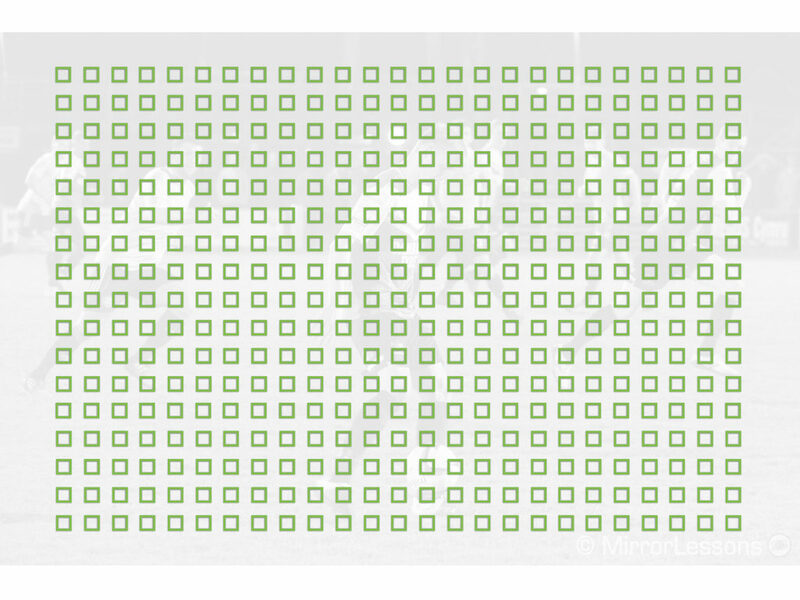 The X-H1 has 91 points, with the 49 central ones being phase detection points, covering roughly 40% of the sensor area. 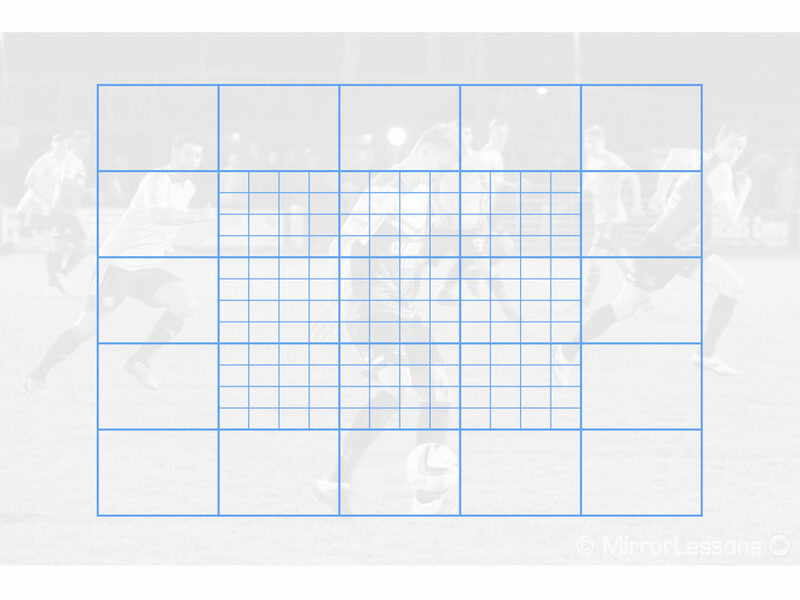 In certain modes you can sub-divide them into a 13×25 grid (325 points). It comes with Fujifilm’s AF-C Custom Settings which allow you to customise the speed and reactivity of the autofocus, as well as the area of the image it prioritises. When we compared the a6500 to the X-T2 – whose AF system is almost identical to that of the X-H1 – we found that they were equally capable of tracking subjects with precision. That being said, the new camera has an improved algorithm that should increase precision when tracking fast subjects such as birds, so we’ll have to see if this brings a tangible difference in field conditions. One advantage of the a6500 is that you can easily adapt DSLR lenses and retain excellent AF performance with the right adaptor such as the Sigma MC-11. Both the X-H1 and a6500 have mechanical, electronic and first curtain electronic shutter options but they offer different speeds. The a6500’s maximum shutter speed is 1/4000s regardless of the shutter mechanism you choose. As for the X-H1, the mechanical shutter can reach 1/8000s while the electronic shutter is even faster at 1/32,000s. In continuous shooting mode, both cameras can go as fast as 11fps but the vertical battery grip is required to reach this speed with the Fujifilm camera – otherwise the maximum is 8fps. With the electronic shutter, the X-H1 can go as fast as 14fps. The video capabilities of the X-H1 and a6500 are similar in so far as both can shoot in 4K resolution up to 30fps but there are also a number of differences that may be of interest to video shooters. Although both offer full pixel readout, the a6500 doesn’t crop the sensor. This means that unlike the X-H1, which performs a 1.17x crop, the field of view doesn’t change. The maximum data rate of the X-H1 is 200Mbps (4K and 1080p) whereas the a6500 is capped at 100Mbps for 4K and 50Mbps for Full HD. Both can record up to 120fps in 1080p which allows you create nice slow motion footage but only the a6500 offers a ‘Quick motion’ option down to 1fps. The maximum time for the a6500 is 30 minutes in 4K and Full HD whereas the X-H1 cannot record for longer than 15 minutes in 4K or 20 minutes in Full HD. However, you can extend the recording time to 30 minutes for both resolutions by attaching the vertical battery grip. You’ll find a 3.5mm microphone input but no headphone output on the a6500. On the X-H1 however, you can gain access to one if you attach the optional battery grip. The X-H1 becomes the second Fujifilm camera after the X-T2 to feature the flat F-Log Gamma profile: it allows you to record the vastest dynamic range possible which is useful for grading in post-production. The difference with the X-T2 however is that the X-H1 lets you record it internally to an SD card (in 4:2:0 8-bit), eliminating the need for an external recorder. Fujifilm’s picture profiles (otherwise known as Film Simulation Modes) can also be used for video. There is a new one currently exclusive to the X-H1 called Eterna which has been developed for video and gives you a very distinctive cinematic look (see the example below by Herman Van Deventer). The a6500 has more picture profiles designed especially for video (nine in total). These include in-depth settings such as black gamma, knee, colour depth, colour modes, gamma modes and S-log2 / S-log3 to record the widest dynamic range possible. This final point isn’t directly related to the X-H1 and a6500 in and of themselves but rather to lens systems to which are inextricably tied. The Sony APS-C lens range, while far from scant, has a disproportionate number of slow aperture lenses. Granted, there are some f/1.8 portrait primes, f/4 zoom lenses, and some third-party primes from Sigma and Zeiss, but if you’re looking for top quality, the Fujifilm X series has more complete lens ecosystem on offer. A second issue is that the Sony APS-C lens range isn’t being updated nearly as regularly as the Fujifilm X series. This is because Sony is currently funnelling all R&D into full-frame lenses which, despite having the same E-mount, tend to be too large (and dare I say too expensive) for APS-C cameras. 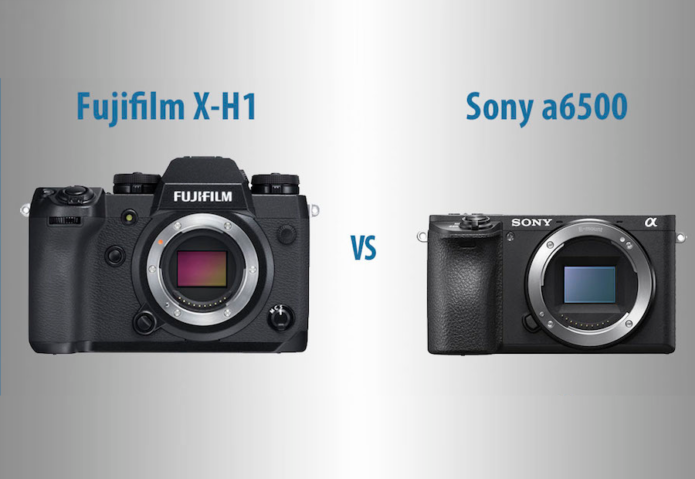 All details aside, it is fair to say that the Fujifilm X-H1 and Sony a6500 are actually quite similar, at least as far as the image quality, autofocus and video capabilities are concerned. The most significant difference, in our opinion, is the handling and user experience. The X-H1, though larger and heavier than the a6500, appears to be a beautifully designed camera with an excellent grip and lots of external controls that are straightforward to use from the moment you unbox it. What’s more, it can benefit from the optional vertical grip that enhances the ergonomics, battery life and performance for demanding jobs. Granted, the a6500 has compactness on its side but it isn’t quite as user friendly. What’s more, small bodies can be less advantageous when used with a heavy telephoto lenses. When it comes to the price, however, it is the Sony camera that has a clear upper hand. In fact, by choosing the a6500 body instead of the X-H1, you can expect to save around $500 (excluding special offers or discounts). The Sony costs around $1400 / £1350 / €1340 whereas the X-H1 is $1900 / £1700 / €1900 (body only).